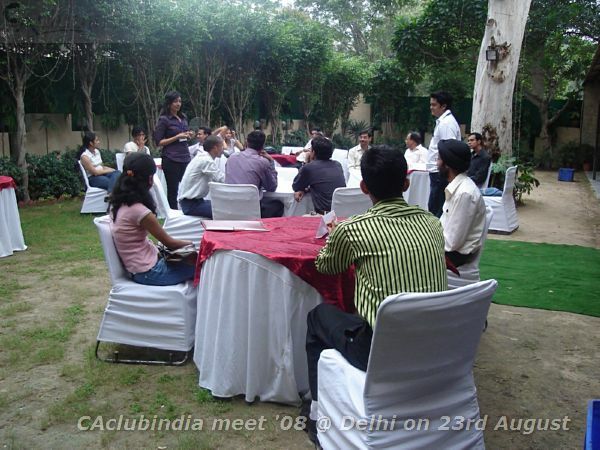 CAclubindia Blog: CAclubindia Meet’08 @ Delhi!! 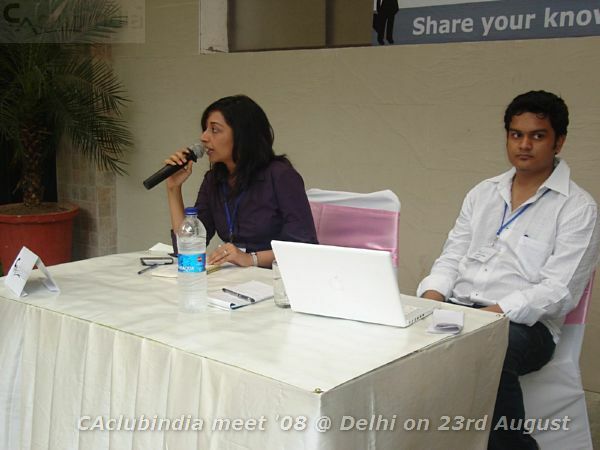 Official CAclubindia Blog - Interactive platform for Finance professionals with more than 1 million members. After a day’s long work, me and vivek were just sitting down and discussing the future course of action and we felt that this was the right time to meet our members one to one.. The idea of organizing a meet was not new to us.. But it turning into reality, Ooooooo Jesus!!!!!! the excitement was just overpouring…..we couldn’t stop calling an EGM( Extra-ordinary General Meeting) at the stroke of midnight. We had a two hour long meeting and we discussed everything of how will the whole process work right from announcing on the site, to sending invitations, the size of the meet, the venue, the designing of the meet logo, the ppt about the journey of caclubindia, the souvenirs, the scope of work of the technical team in organising the meet and we almost left no stone unturned. After the last day’s search we were convinced that pragati maidan was the best available location but destiny had some other plans…. We finalised the members list and one by one called all the members, got in touch with the technical team to send members invitations and finalize meet logo for all the banners. One day before the meet, went to the banner guy to check if everything was right in place.. And the Id cards for our team… and how to forget Vivek’s Iphone !!!!!! 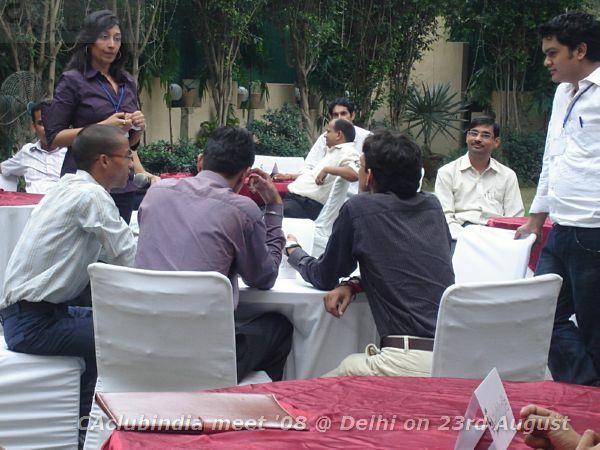 12:30 we were at the venue.. arranging banners and speeding up the arrangements there..
For the first time we met our members.. Vivek started interacting informally with the members and i could sense the members were glad to see the CEO, young, dynamic and charming..
For that we then played a game ” Game of the Intellect” and then i could see the bond happening.. everyone in there was so involved.. to witness the involvement in itself was so rejoicing.. This was what happened in terms of planning and programme.. But lots of things happened which were not planned and were just driven by emotions..
” Life is pretty much destined but ever we want to make a difference we’ll just need to think differently”!!!!! Today in real sense we feel we have made a difference for the CA community and for this we thank our members whole heartedly…. 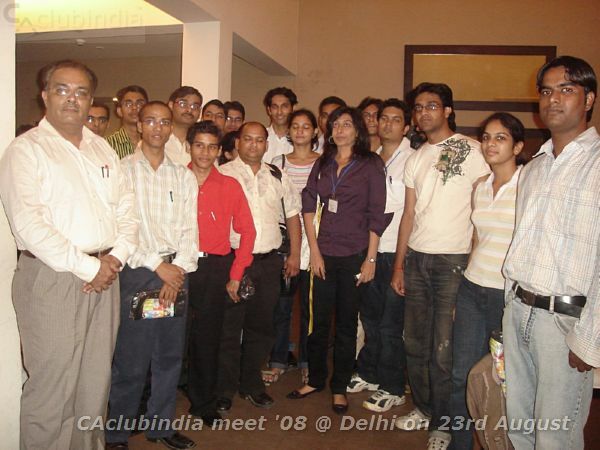 © 2014 CAclubindia.com. Let us grow stronger by mutual exchange of knowledge.. Simple theme. Powered by Blogger.